Logistical, administrative and financial processes have never been so easy to manage as with FuelOffice Oil. 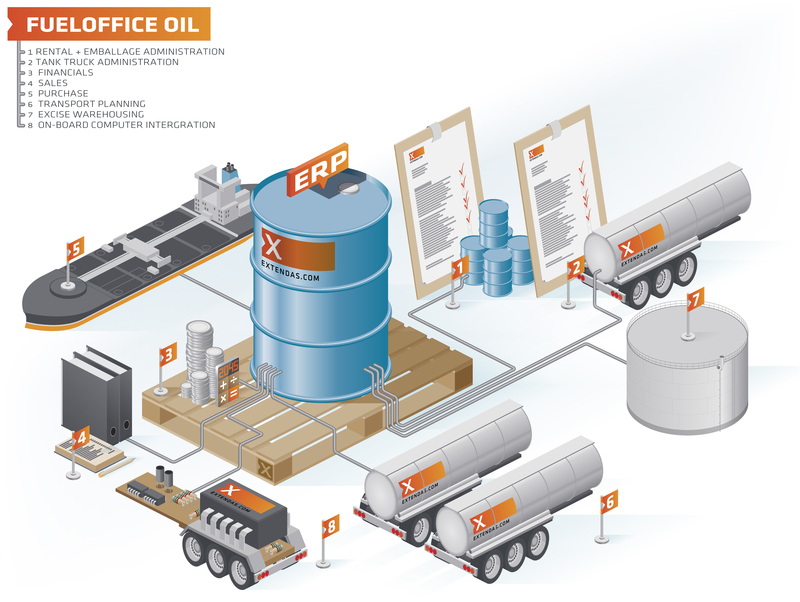 FuelOffice Oil is an innovative and versatile package for enterprise resource planning (ERP). It was developed by Extendas, using state-of-the-art technology. The package runs on Microsoft Windows and uses Microsoft SQL Server databases. Extendas offers FuelOffice Enterprise, an integrated back office system especially for oil companies, complex organisations with multiple legal entities, branches, warehouses, flow of goods and personnel administration. The system is also an extension of FuelOffice Retail, used by petrol businesses with less complex structures.